What if your teacher could read your mind just because she was born on a Thursday? Or the kid next to you in class could turn back the clock just because he was a Wednesday? In the quirky town of Nova, all of this is normal. 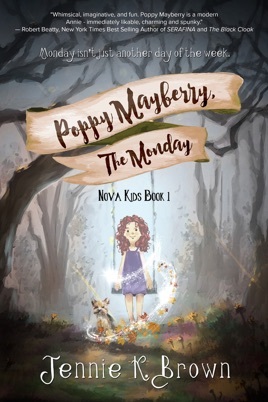 Poppy Mayberry, an almost-11-year-old Monday, should be able to pass notes in class or brush her dog, Pickle, without lifting a finger. Poppy's Monday telekinesis ability has some kinks and that plate of spaghetti she's passing may just end up on someone's head. 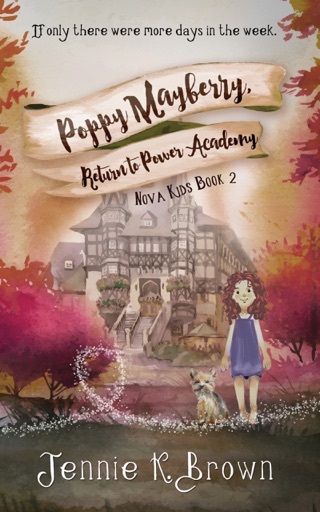 If that's not hard enough, practically-perfect Ellie Preston is out to get her and Principal Wible wants to send Poppy to remedial summer school to work on her powers! It's enough to make a girl want to disappear. If only she were a Friday.